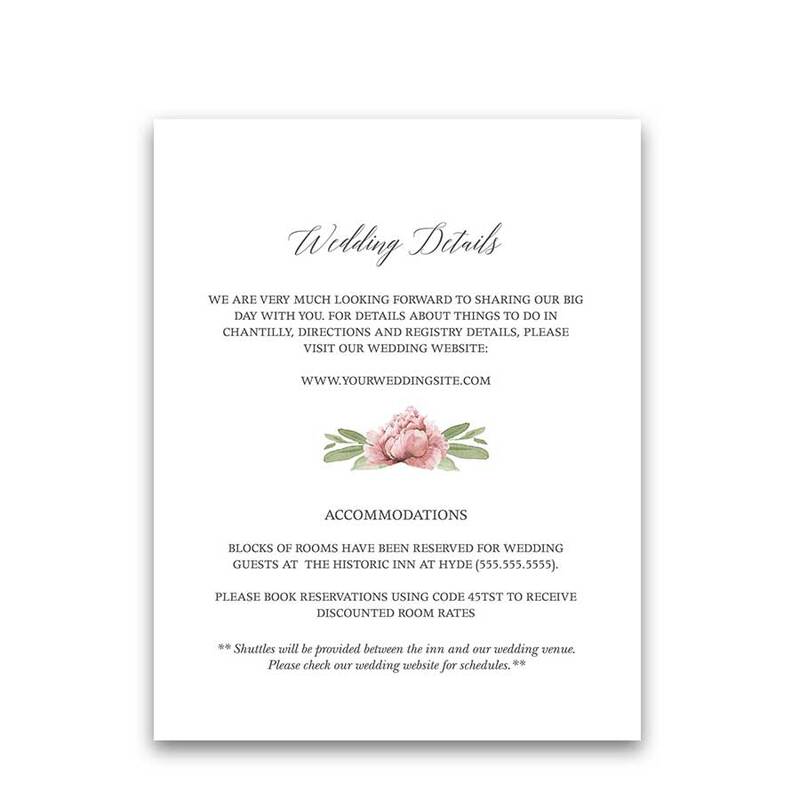 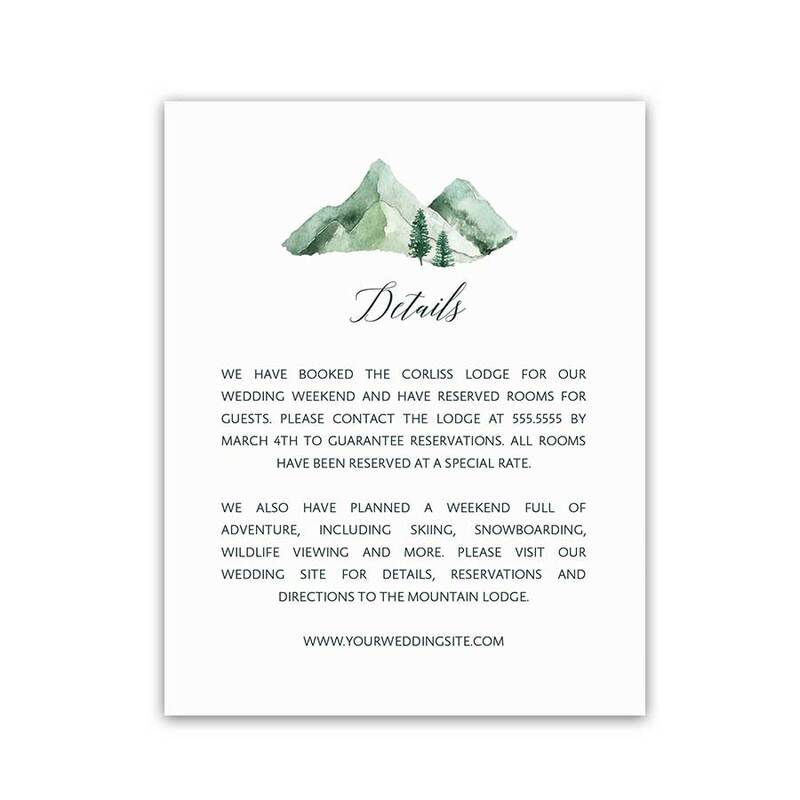 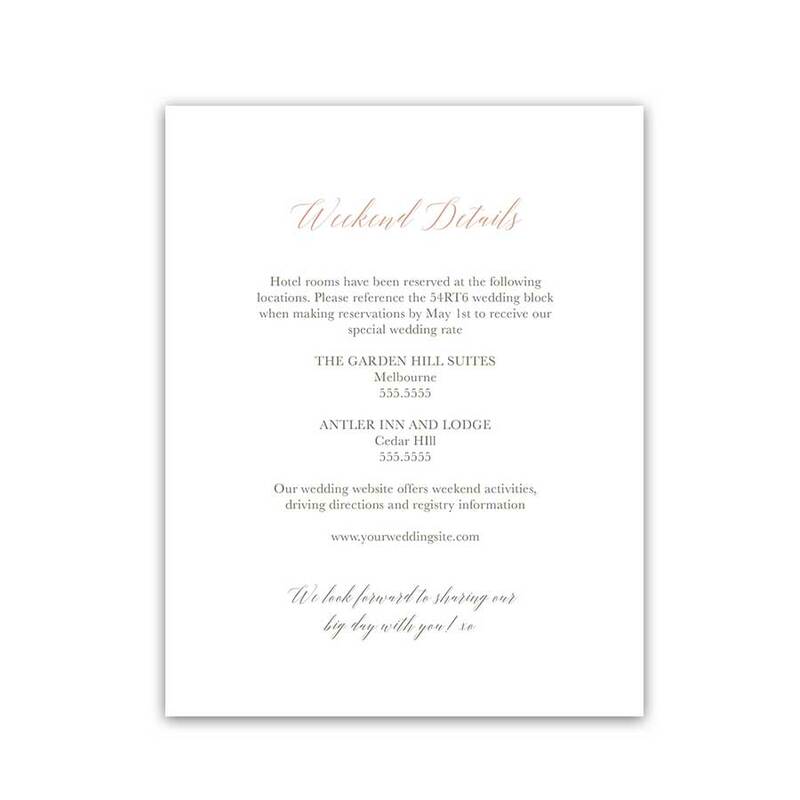 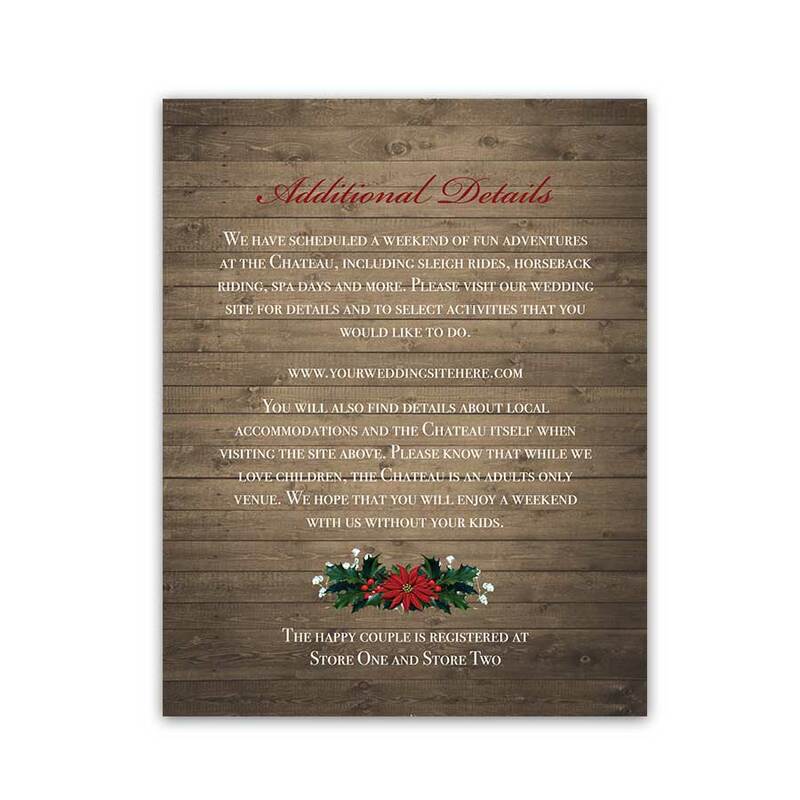 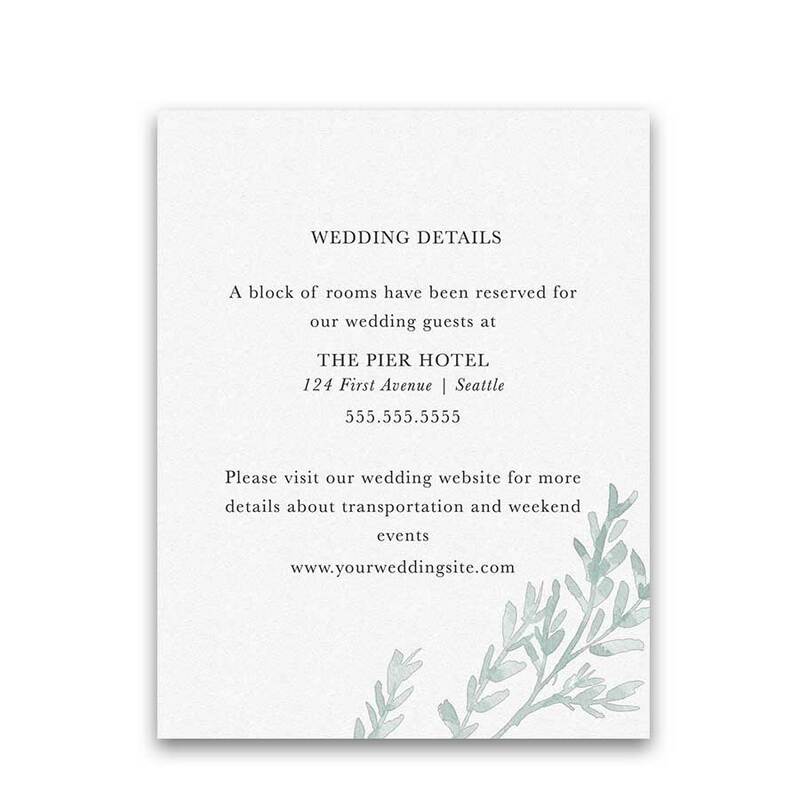 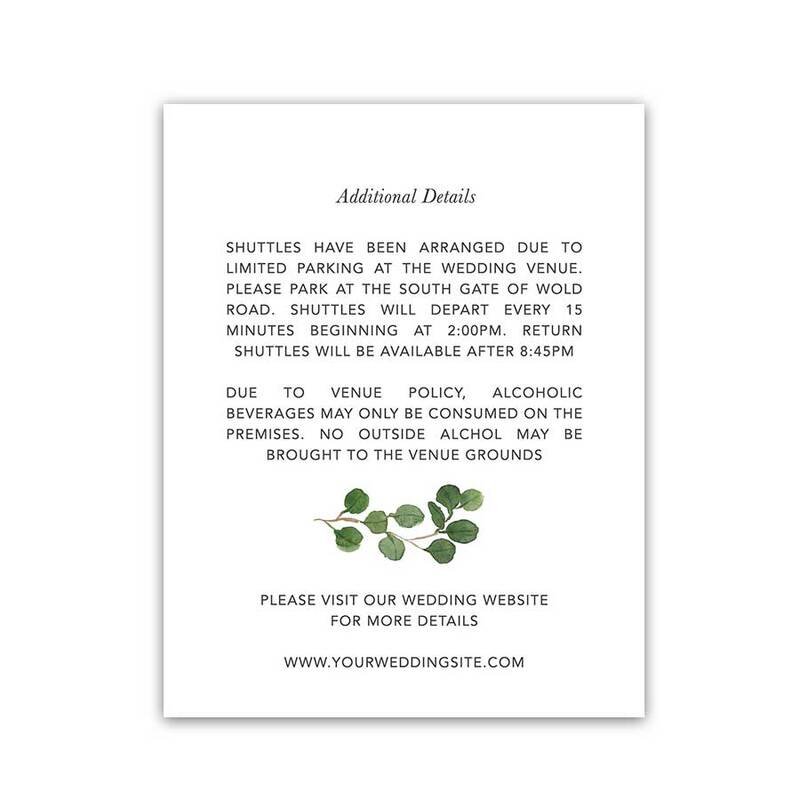 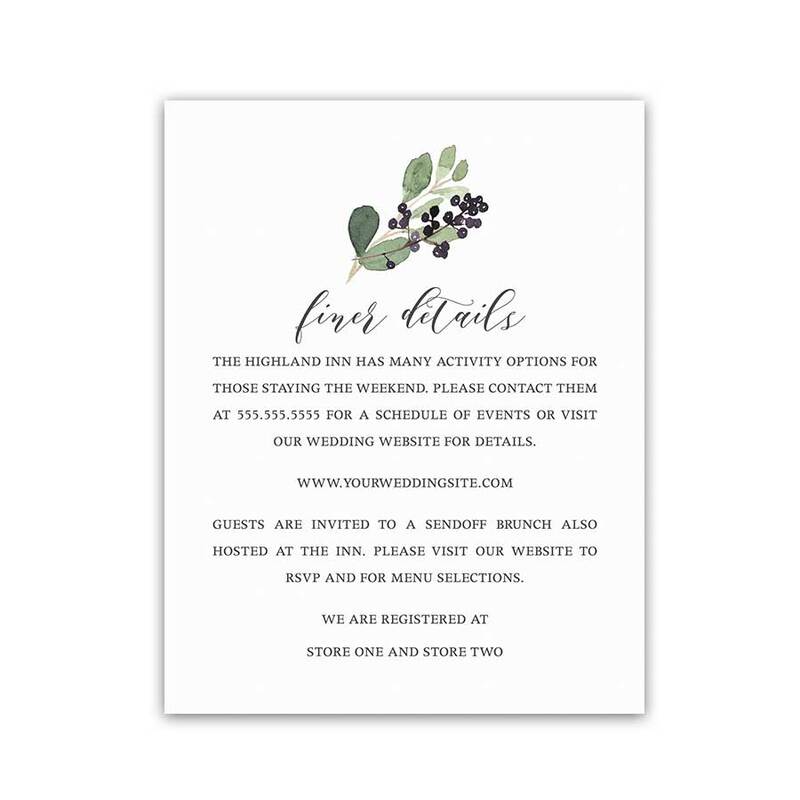 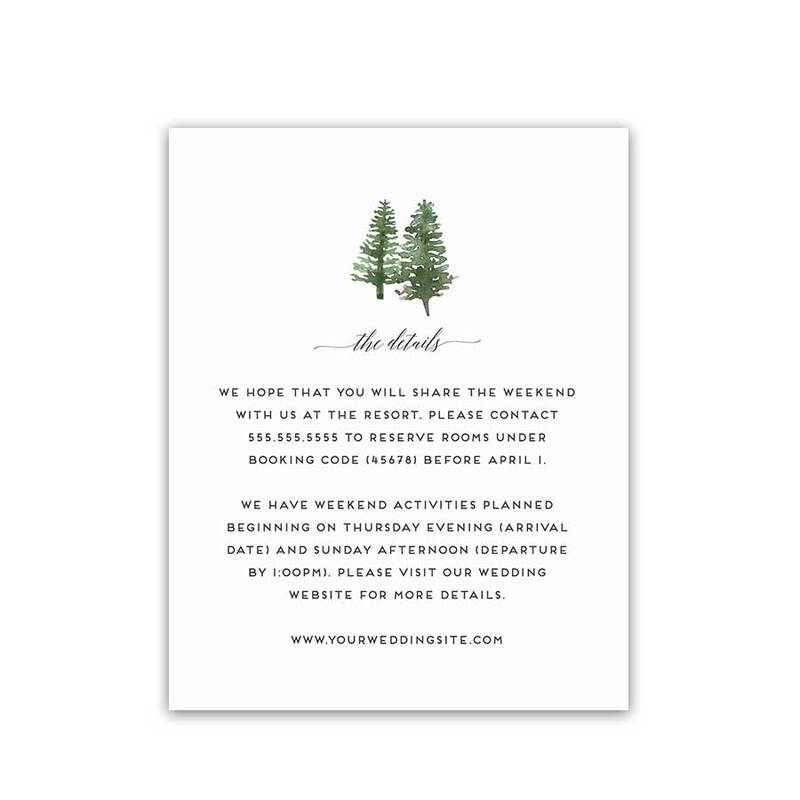 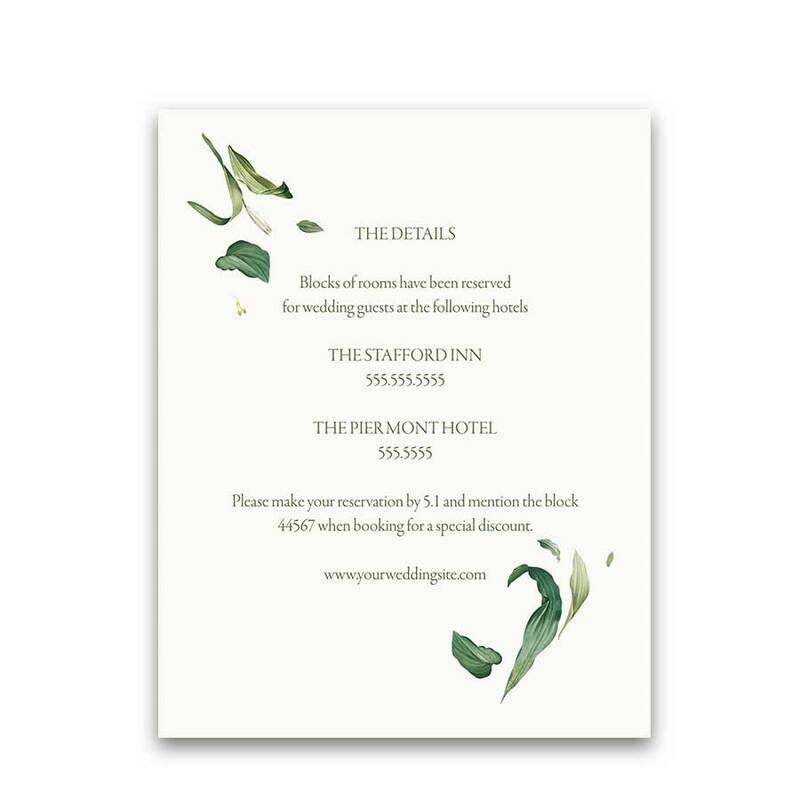 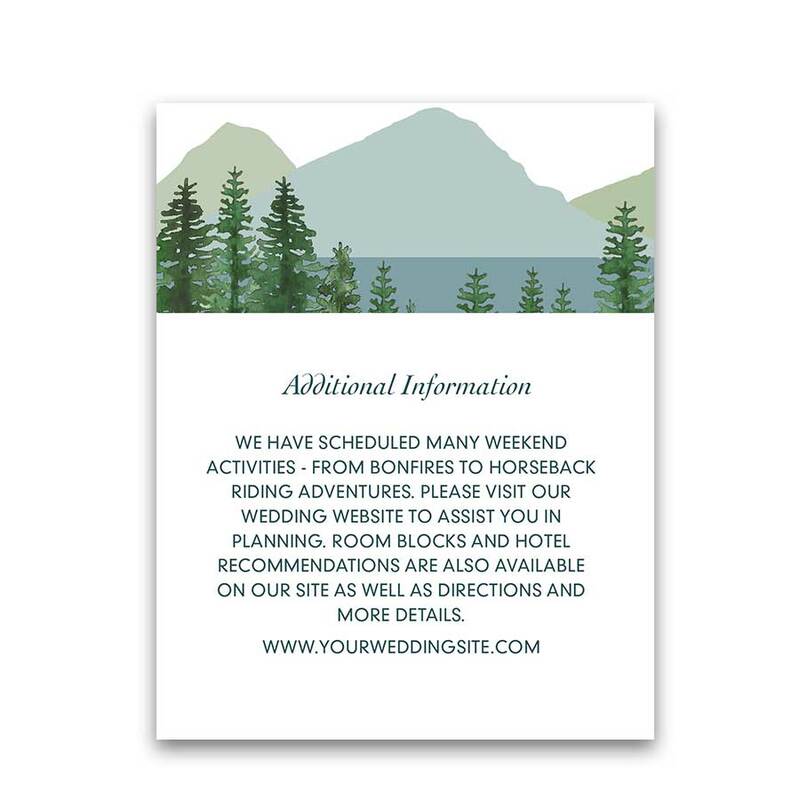 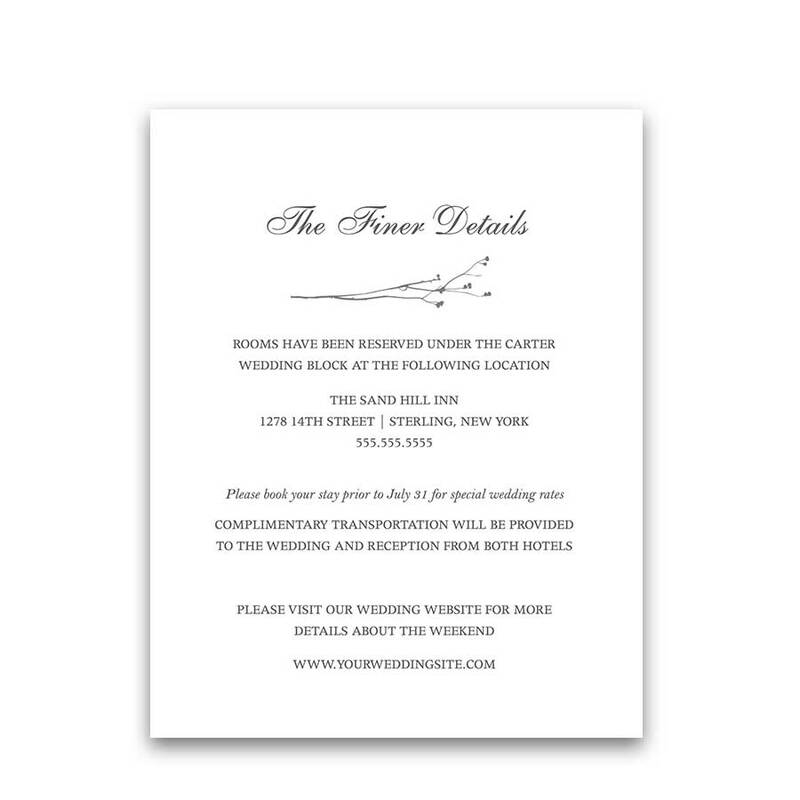 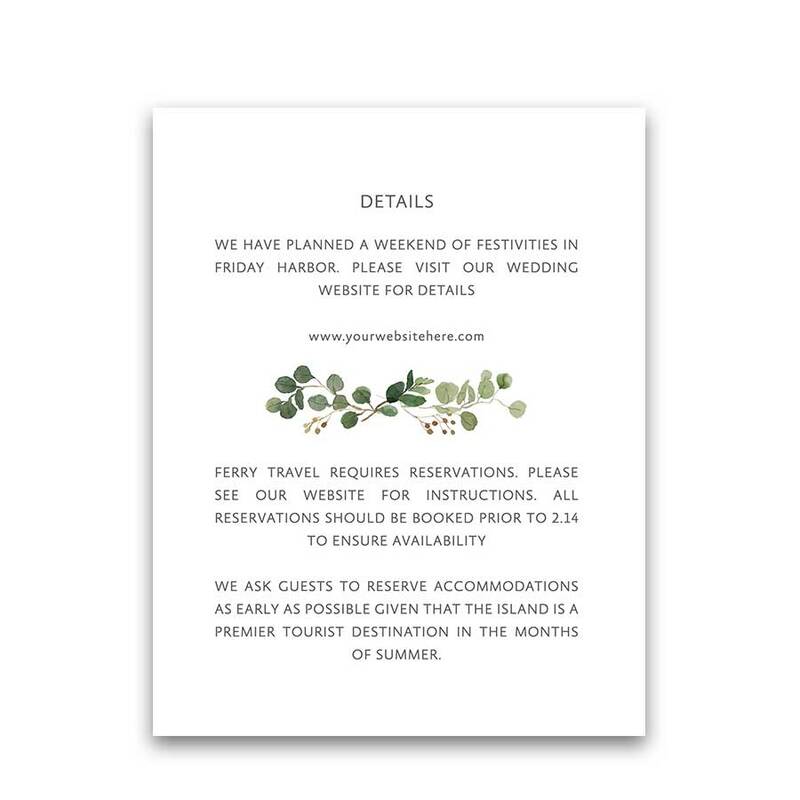 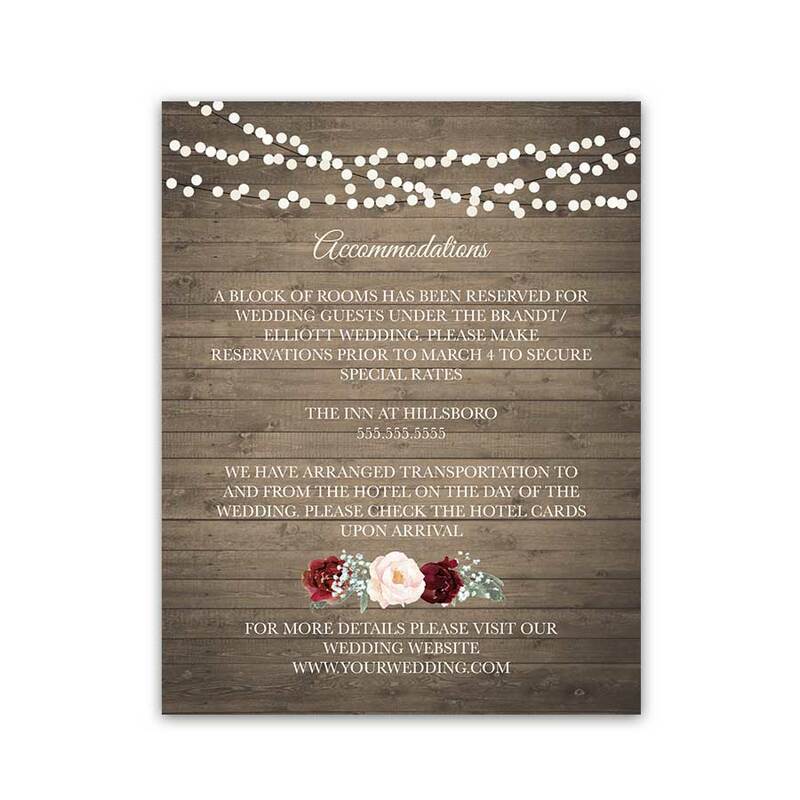 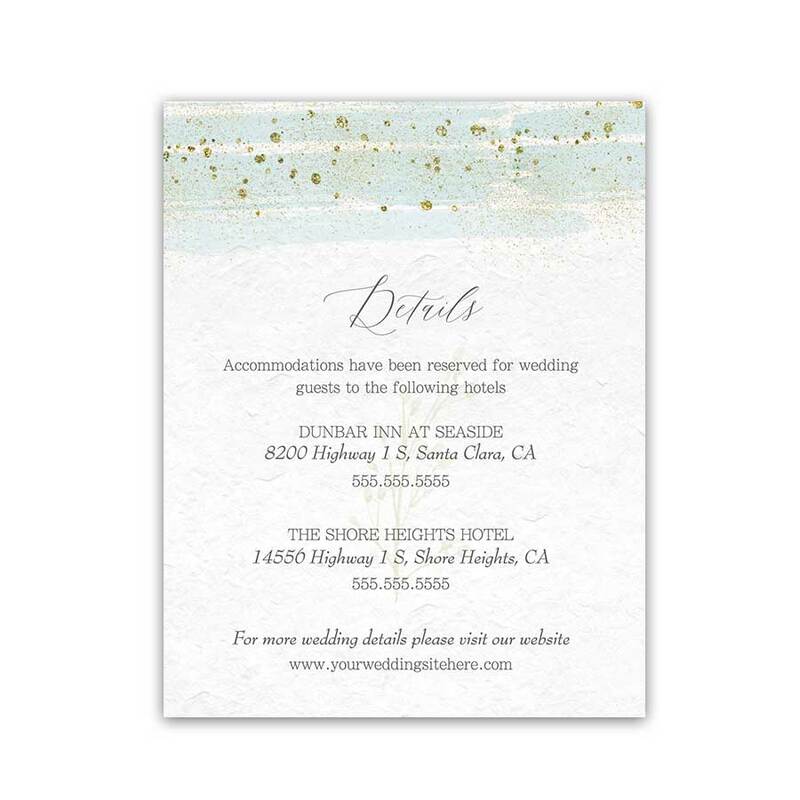 Guest information cards provide your guests with additional information about your wedding. 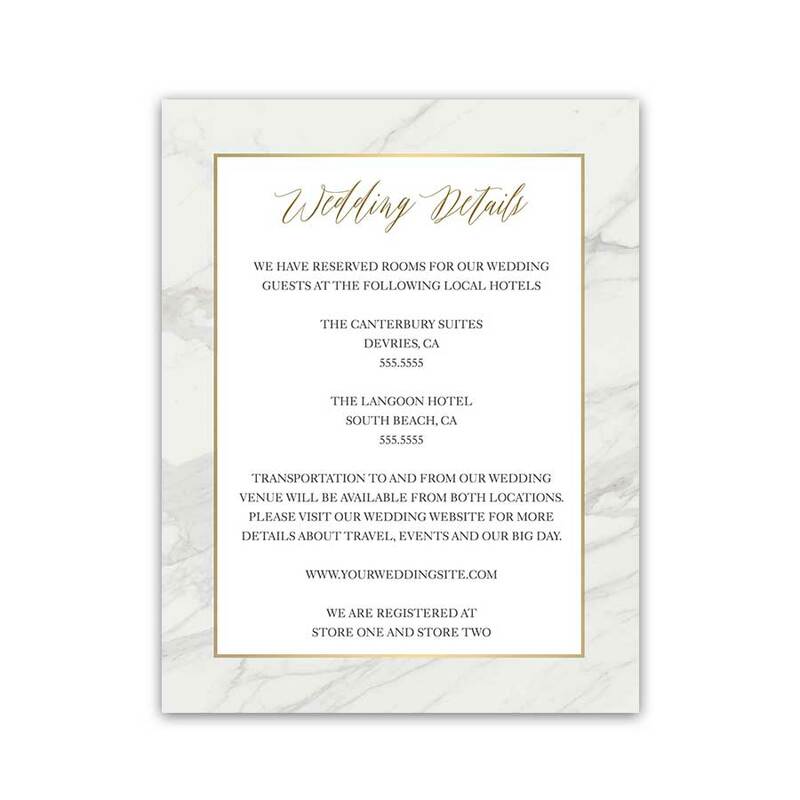 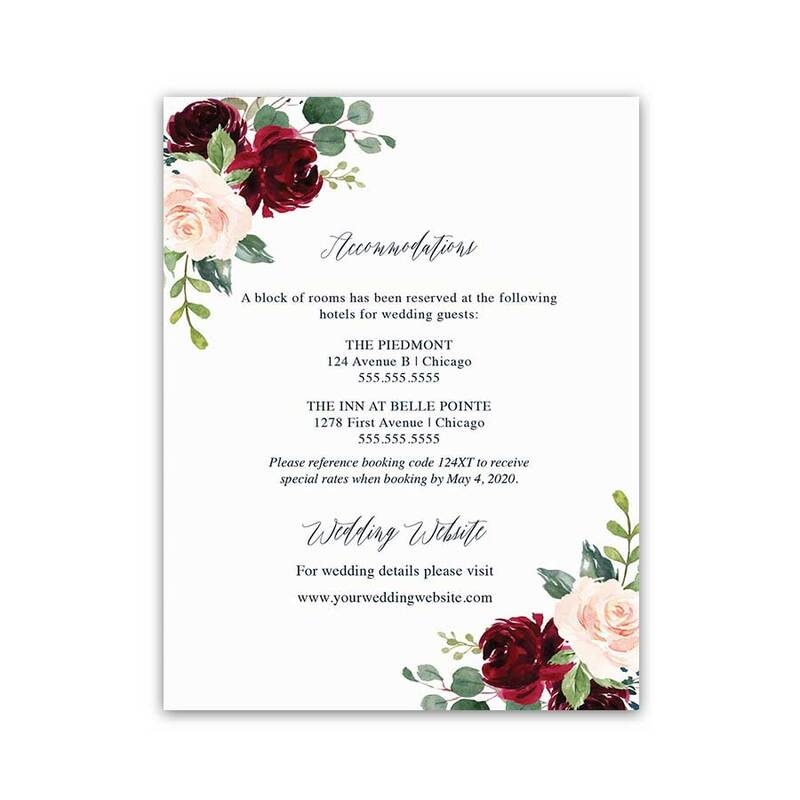 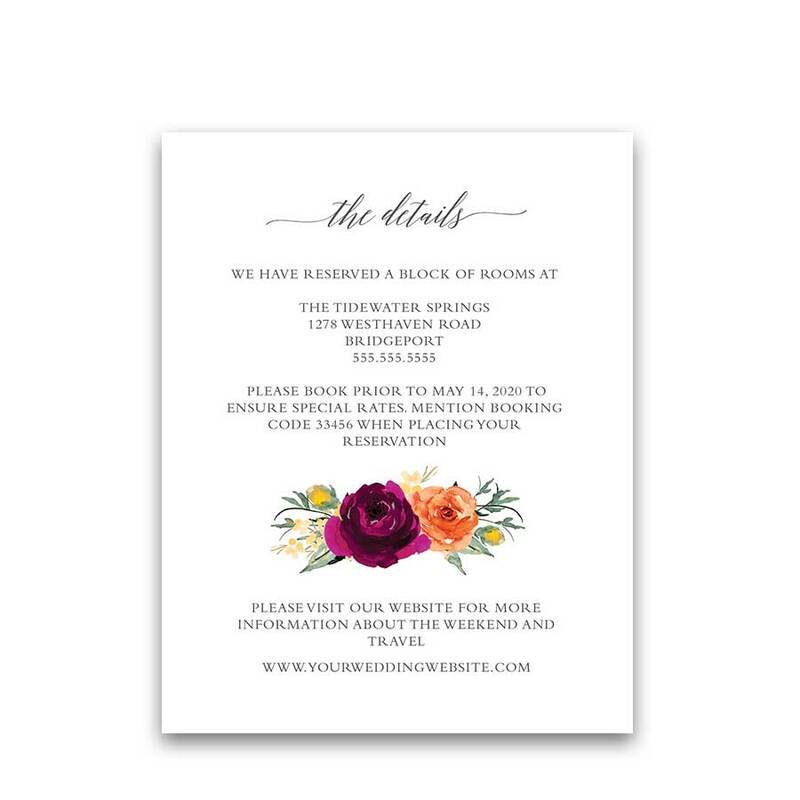 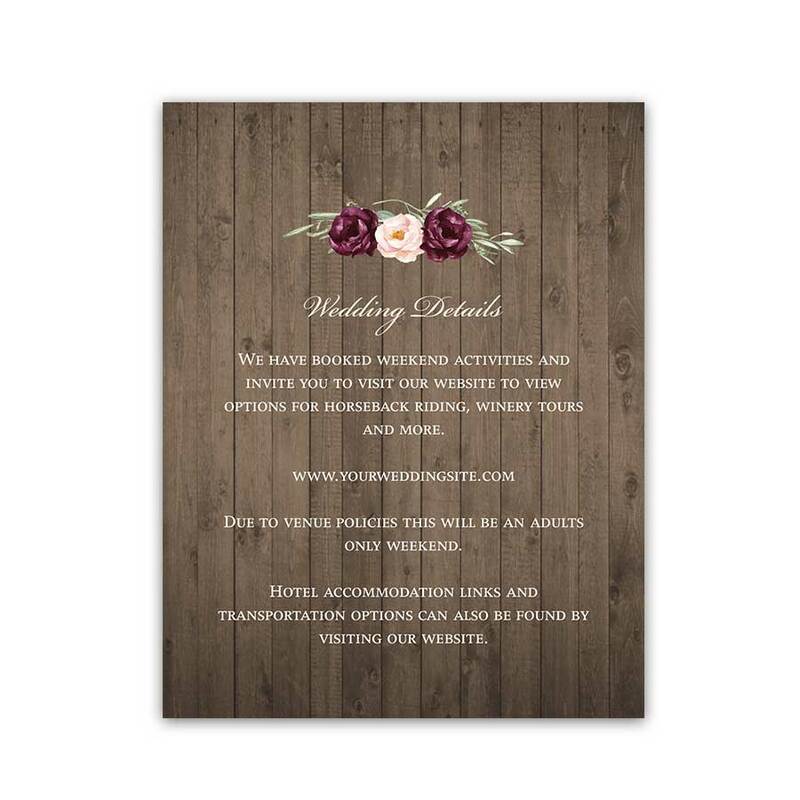 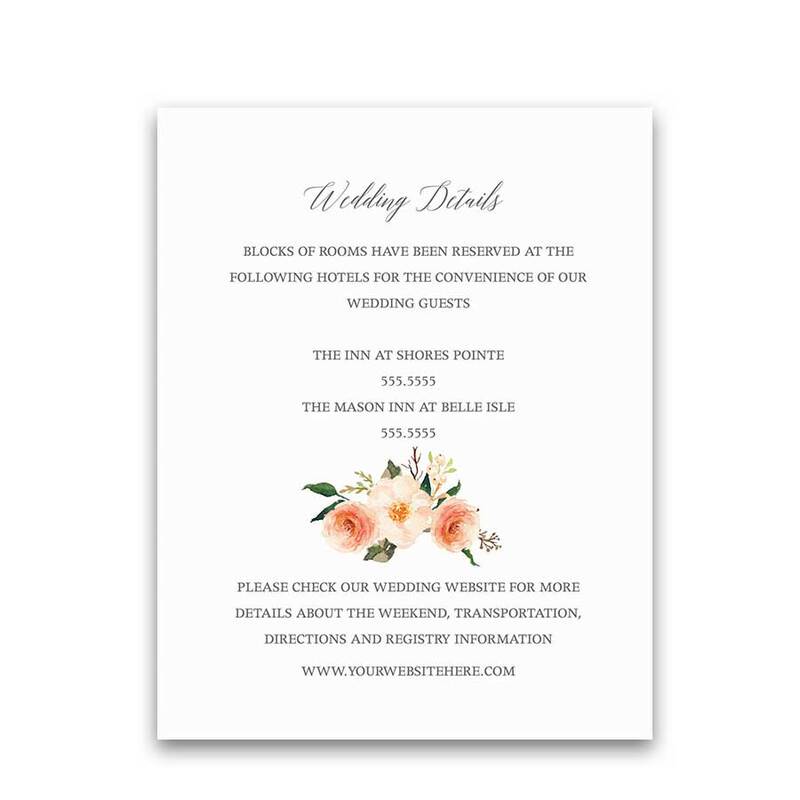 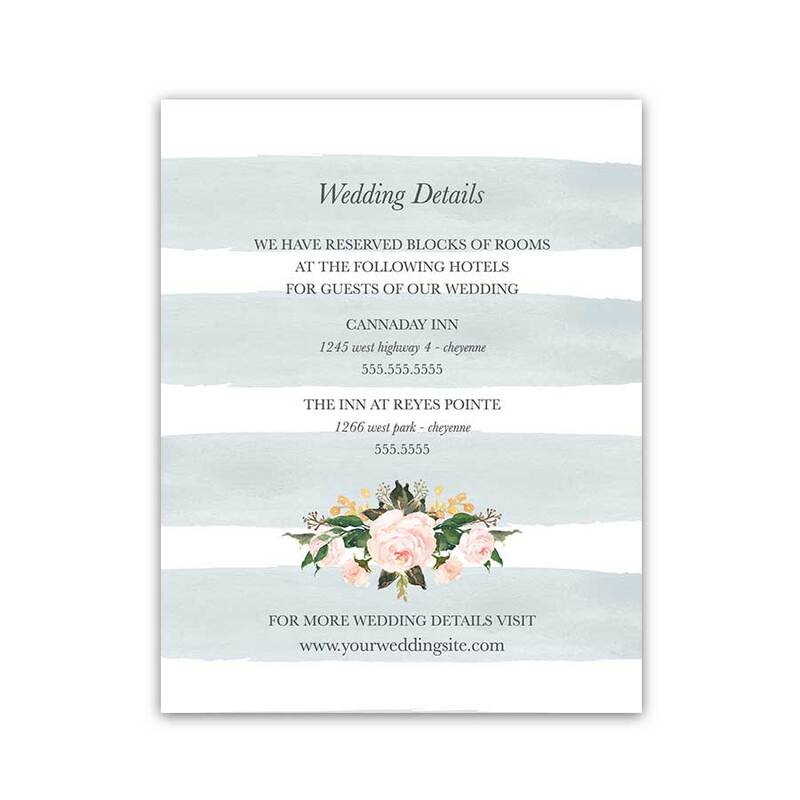 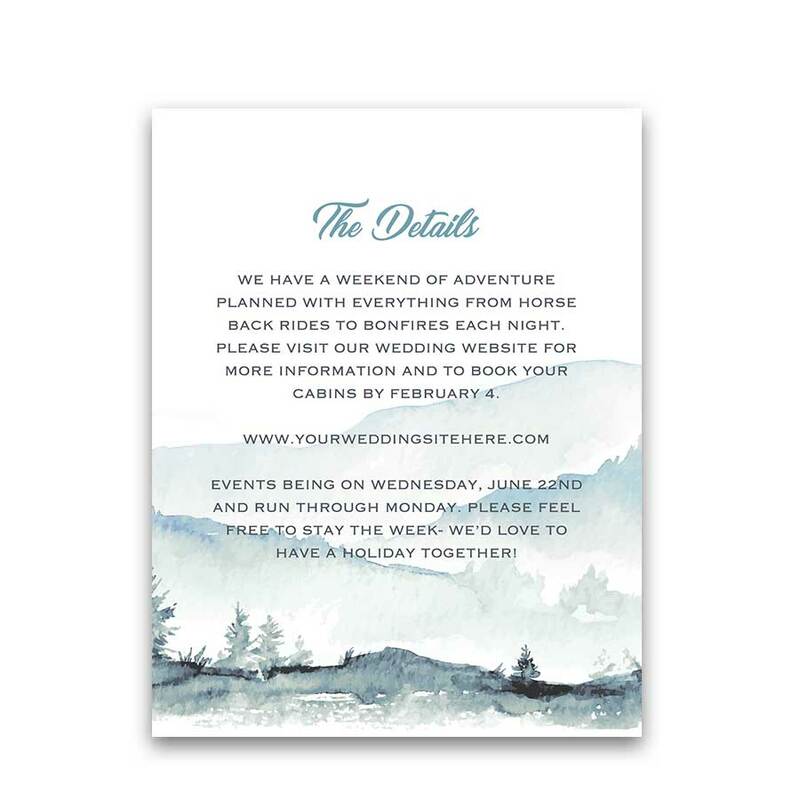 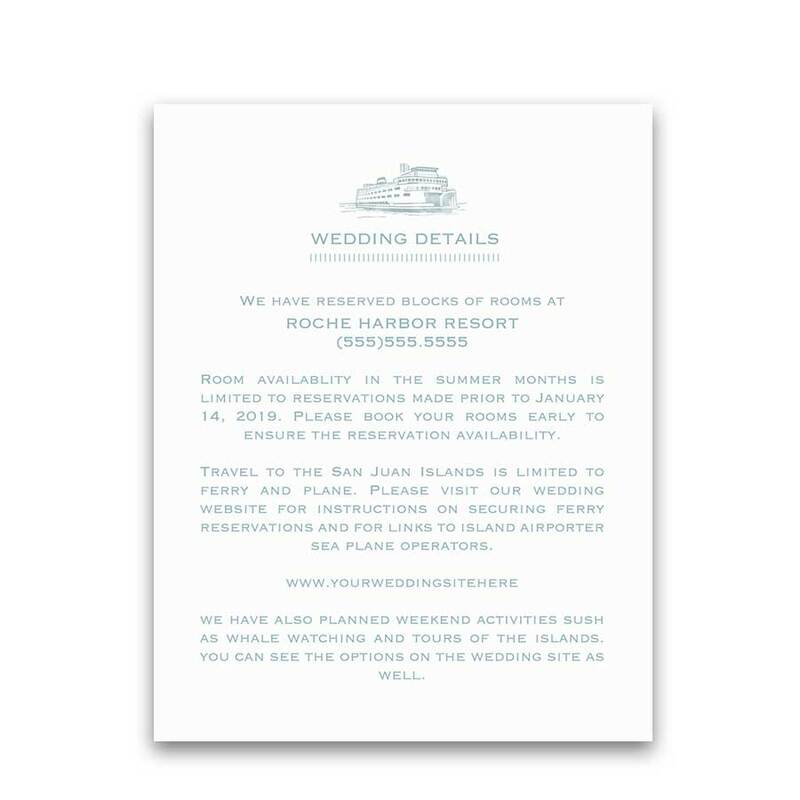 Add information to your guest information cards such as your wedding website and hotel accommodations. 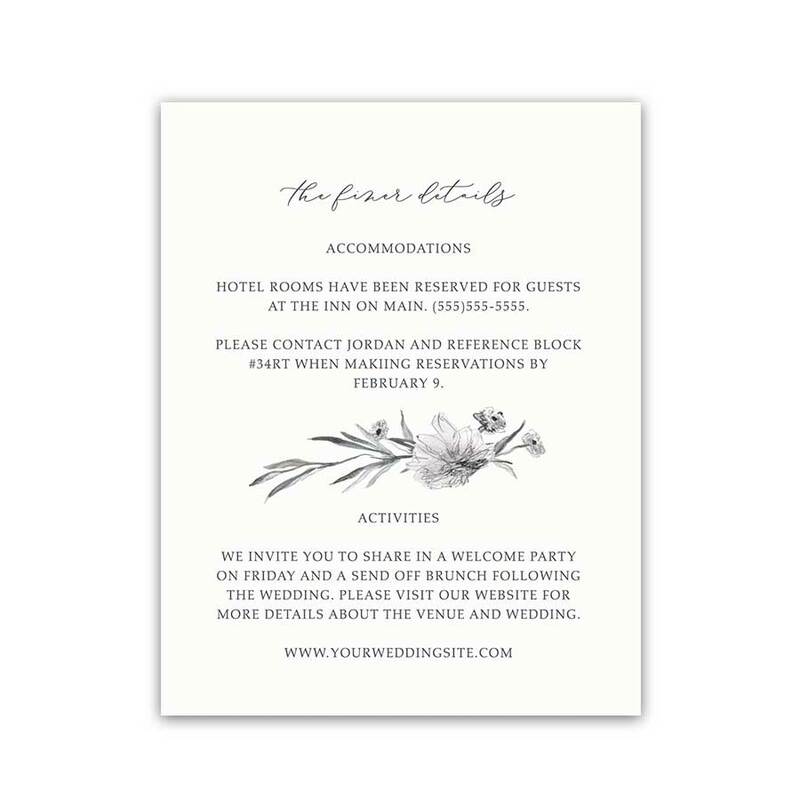 You can also add registry information, directions and anything else you would like guests to know.